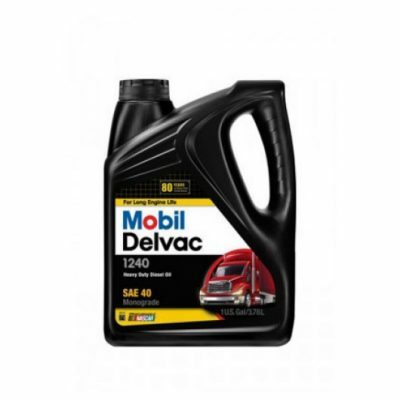 Mobil Delvac Synthetic Transmission Fluid 50 is a fully synthetic, manual transmission lubricant engineered to meet the most demanding extended drain and OEM warranty requirements. It is recommended for year-round lubrication of manual transmissions in light to severe duty on- and off-highway equipment operating in a wide range of environments. 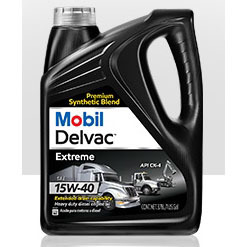 Designed to provide maximum protection and extended operating life to heavy duty transmissions, Mobil Delvac Synthetic Transmission Fluid 50 provides significant advantages over conventional sulphur-phosphorus gear oils, including outstanding high-temperature performance, oxidation stability, wear protection, and corrosion control. It has the same viscosity as most SAE 50 engine oils and SAE 90 gear lubricants at the high end of the temperature-viscosity scale, and because of its inherently high viscosity index, it provides stronger film strength at higher temperatures than conventional oils. 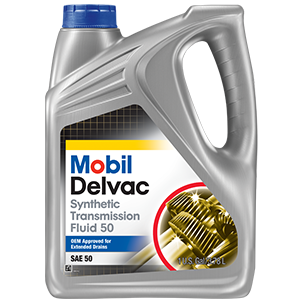 Mobil Delvac Synthetic Transmission Fluid 50 also ensures effective lubrication at below freezing temperatures without channelling. The outstanding performance of this product is confirmed by its approval for heavy-duty transmissions covered by Eaton Roadranger and Extended Warranties of 750,000 miles, with oil drains of 500,000 miles. It is also approved by Mack against its TO-A Plus 500,000 mile extended service classification. 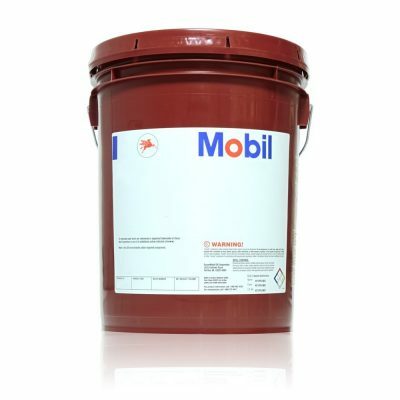 Mobil Delvac Synthetic Transmission Fluid 50 meets the API service MT-1 EP gear oil service classification and is suitable for transmissions and gear cases where API Service GL-1 through GL-4 gear protection is required.